Trending at $137.49eBay determines this price through a machine learned model of the product's sale prices within the last 90 days. 4K HDR gives you richer detail, deeper colours, and stunning picture quality. Apple, MQD22CL/A. As an industry leader in product sourcing and reconditioning, we are expert in providing the best and finest quality products. 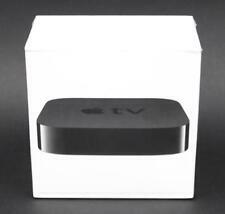 Apple TV (3rd Generation) Smart Media Streaming Player. Condition is Used. Shipped with USPS Priority Mail. Fully functions; has remote control; needs power cable. 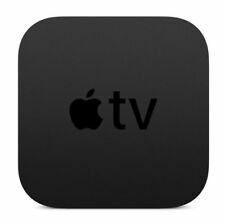 Apple TV (4th Generation) 32GB. Model A1625. Condition is Used. Updated and factory restored. Comes with everything in picture: apple tv, remote, power cord. Shipped with USPS Priority Mail. Watch blockbuster movies, hit TV shows, live sports, news, your family photos or listen to music. Condition is Used. ▪Wi-Fi (802.11a, b, g, or n) wireless network (wireless video streaming requires 802.11a, g, or n) or 10/100BASE-T Ethernet network. It does not have the remote. It has been tested and works great. Apple TV A1427 - 3rd Generation - 8GB HD Media Streamer - Remote and Power Cord Included. Working condition, factory reset. Condition is Used. Works perfectly, no problems of any kind. Box has been reset to factory settings. 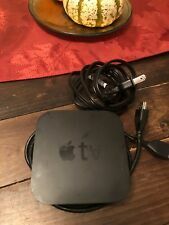 Apple A1469 TV 3rd Generation 1080p HD Streaming Player with power cord and remote. Condition is Used and fully functional. Shipped with USPS Priority Mail. 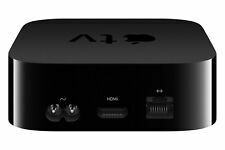 Apple TV 2nd Generation (A1378) with Remote and cord - good condiition . Condition is Used. Shipped with USPS Priority Mail. 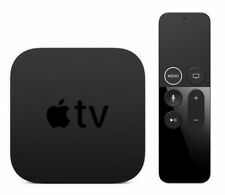 Apple TV 4K 64GB MP7P2CL/A. Condition is New. Shipped with USPS Priority Mail.